BOULDER (12/4/18) — InDevR scientists are collaborating with scientists at the Armed Forces Research Institute of Medical Sciences (AFRIMS), part of the Walter Reed Army Institute of Research, to evaluate the performance of FluChip-8G Insight system for rapidly characterizing influenza virus subtype from human and animal-origin samples. The research-use-only FluChip-8G Insight assay is not intended for diagnostic purposes but rather as a fast and easy way to determine the subtype of seasonal and non-seasonal influenza viruses. The FluChip-8G Insight system has been installed at AFRIMS sites in Bangkok, Kathmandu, and Manila. AFRIMS conducts influenza surveillance throughout the world as part of a global network of sites keeping track of influenza viruses circulating in humans and animal populations. Colonel Louis Macareo, Chief of the Department of Virology at AFRIMS commented that “We are pleased to collaborate with InDevR scientists to evaluate the performance of FluChip-8G Insight system for rapidly characterizing influenza viruses.” AFRIMS scientists plan to test the system at AFRIMS headquarters in Bangkok Thailand, at the Walter Reed AFRIMS Research Unit Nepal (WARUN), and at the Philippines-AFRIMS Virology Research Unit (PAVRU). All three sites will conduct side-by-side performance comparison with real-time RT-PCR assays for typing and subtyping influenza viruses being utilized as part of DoD surveillance efforts. 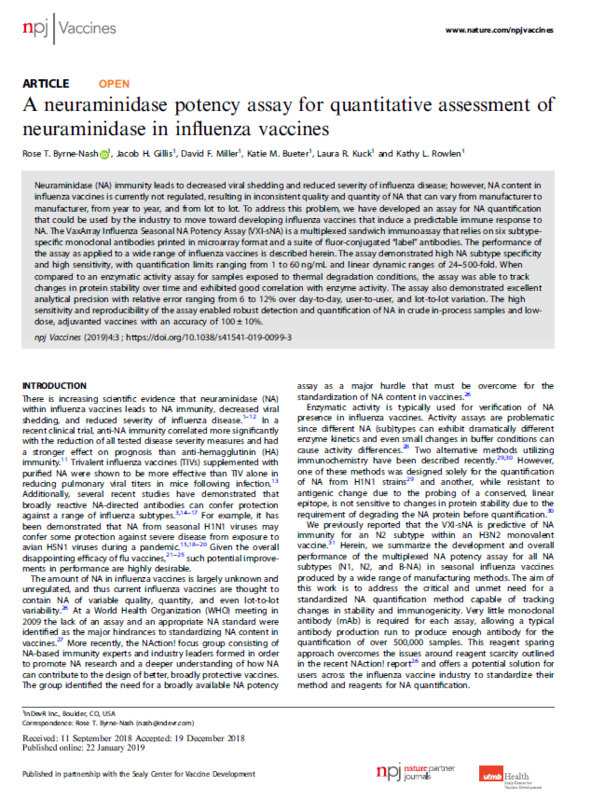 The long-term objective is to qualify the system for reflex testing of influenza positive samples for rapid identification of influenza A subtype and influenza B lineage. FluChip-8G leverages advancements in artificial intelligence to distill complex data into a simple answer to identify flu viruses. The technology is based on a microarray that quickly probes a large portion of influenza’s viral genome. Human experts who have the required skill to curate and interpret such a massive amount of data from each sample are hard to come by, especially in remote locations where new flu viruses with pandemic potential are likely to originate. To tackle that problem, the developers of FluChip-8G built an “expert” into every box. Similar to the way social media sites are able to identify individual faces in a photograph, the FluChip-8G system uses a pattern recognition algorithm to rapidly identify flu viruses. This allows those tracking flu viruses in a variety of settings including low and middle-income countries to rapidly determine if a flu virus with pandemic potential is causing infections or outbreaks. Advanced development was funded by the Biomedical Advanced Research and Development Authority (HHSO100201400010C, HHS0100201500024C). 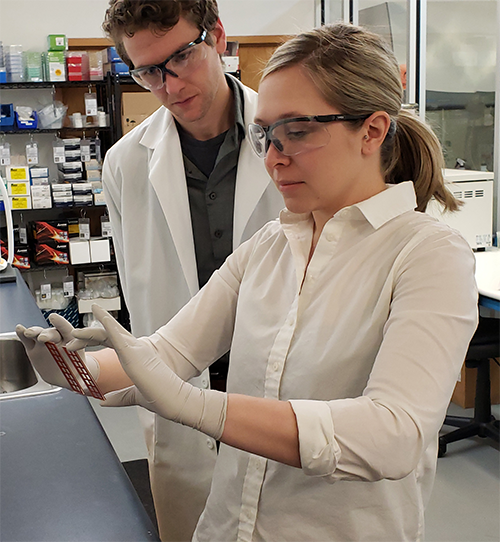 InDevR is a leader in progressive new diagnostic and analytical technologies that enable accelerated development and manufacturing of vaccines and other biotherapeutics. For more information about the company and products, please visit www.indevr.com or call 303-402-9100. InDevR wins IQ Award for VaxArray Platform from Bizwest! November 14, 2018 – Scientists at Duke Kunshan University and Duke University are collaborating with InDevR Inc. to evaluate the FluChip-8G Insight system for the rapid identification of the influenza virus subtype from human and animal samples.The FluChip-8G test promises to be a faster and easier way to determine the subtype of seasonal and non-seasonal influenza viruses. It has the potential to reduce influenza A and B characterization times from two weeks to eight hours. “Knowing that a patient is infected with a dangerous influenza virus could lead to early antiviral treatment, isolation of the patient, and early identification and mitigation of the virus source, which could save lives,” said Professor Gregory Gray, the Principal Investigator for Duke Kunshan and Duke University. Study teams at Duke Kunshan and Duke are employing the FluChip-8G test alongside standardized WHO/CDC rRT-PCR tests that are currently used for Gray’s research in zoonotic influenza virus epidemiology. The study will use specimens collected by the Duke Kunshan team and collaborators in Vietnam, China, Malaysia and the U.S. In the United States, specimens will come from Duke University Hospital’s Department of Clinical Virology, Wake Forest University’s Department of Clinical Virology, and the North Carolina Veterinary Diagnostic Laboratory System, as well as a swine veterinarian from the U.S. Midwest. “We are excited to participate in the multi-month field validation of this technology,” said Haiyan Gao, vice chancellor for academic affairs at Duke Kunshan and Henry Newson Professor of Physics at Duke University. “This collaboration shows the research strength of Duke Kunshan is widely recognized. It is also a typical example of how joint research projects between China and the United States can make people’s lives better,” Gao said. Influenza — commonly known as the flu — is a respiratory infection caused by a virus. Influenza A and B viruses are the two types that most commonly infect humans. Influenza A viruses spread between animals and humans and sometimes cause epidemics. 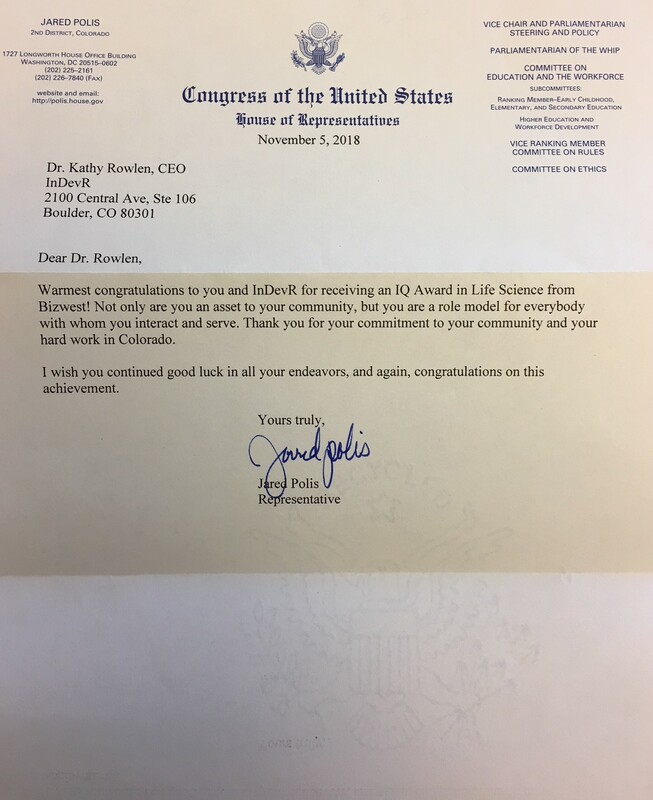 Based in Boulder, Colorado USA InDevR is a leader in progressive new diagnostic and analytical technologies that enable accelerated development and manufacturing of vaccines and other bio-therapeutics. 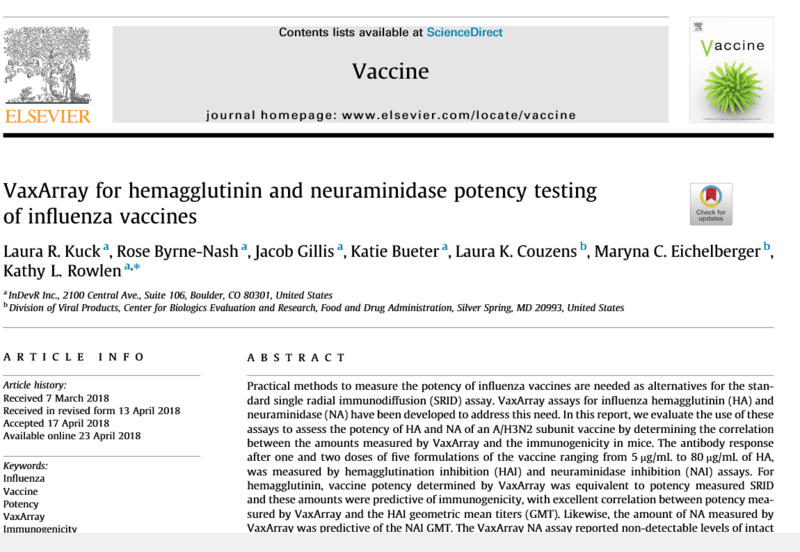 Advanced development of this new molecular test, which was designed to improve pandemic preparedness, was funded by the Biomedical Advanced Research and Development Authority (HHSO100201400010C, HHSO100201400024C), which is part of the U.S. Department of Health and Human Services.